On June 1st, WWU's 2nd Annual Western Give Day, a portion of EVERY gift made will be matched! 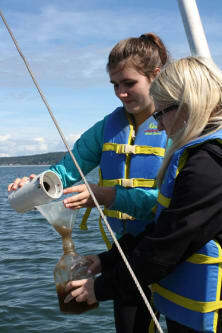 Take advantage of this incredible opportunity and support WWU Marine Science Scholars Program! Help us train future scientists and stewards of our marine environments through the Marine Science Scholars Program! 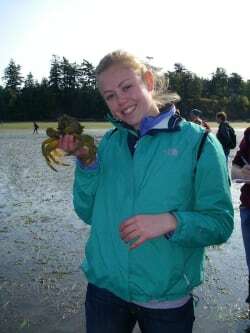 This transformational program takes a select group of incoming freshmen and connects them with faculty at Western’s marine research station, the Shannon Point Marine Center. "The two weeks living and learning at the marine center was an experience that will stay with me my whole life. It was so well designed, every day was something exciting and new. The hands-on work and field trips made it really fun. Also, meeting fellow students and sharing this experience was a good social introduction to college." stay informed on how to launch their careers in marine science through internships, research and outreach opportunities, and lectures. Our Goal: Please help us raise $5,000 to support the program. Because of government funding cuts, this transformative program needs your help to keep going. Please consider giving a gift to help future WWU marine science students reach their potential and help us in spreading the word by sharing with your personal and social media networks! 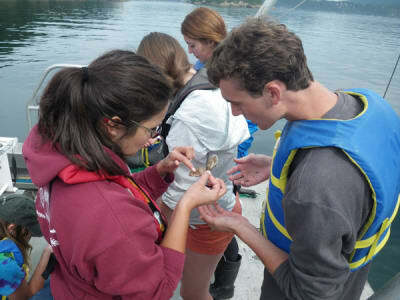 The participant cost for 21 students is $22,000 for the 2-week field course. 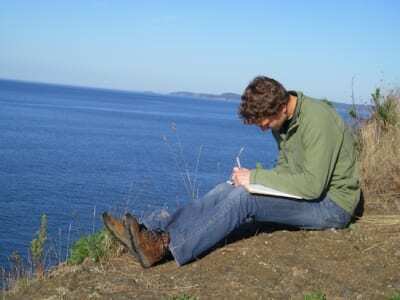 If we meet our goal of $5,000, we will be able to cover a portion of the costs associated with the 2-week field course at the WWU Shannon Point Marine Center. This includes hiring a past Marine Science Scholar who has gone through the program in previous years to act as a peer mentor and TA for the incoming cohort during the field course, field trip costs, operating the SPMC's research boat, and classroom and field supplies. If we exceed our goal of $5,000, additional dollars will help with the cost of housing and dining for the scholars. Why should we care about the future of Marine Science? Oceans are Earth's largest ecosystems. They generate much of our oxygen, hold 97% of the world's water, and provide a significant source of animal protein for our diet. Our marine environments are critical to our survival, and understanding their complexities is of vital interest to our health, economy, and recreational interests. There is no better way to inspire and train future marine scientists than by the immersion program offered through the Marine Science Scholars Program! Our mission is educating leaders in science, education, policy, and stewardship through experiential learning integrated with innovative marine and environmental scientific research. 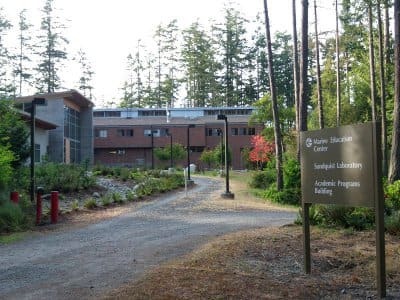 In addition to supporting formal courses both at the marine center and on the main campus, we work to promote a better understanding of local marine environments and living resources through research. We also provide innovative educational programs for undergraduates and support research by students and scientists from the University, the region, the nation, and the world. Your support at the autotroph level helps cover the cost of one hour of vessel fuel for powerful hands-on research experiences! Your support at the herbivore level funds lab supplies for the 2 week course at Shannon Point Marine Center! Your support at the primary consumer level pays for a field trip to the Whale Museum in Friday Harbor! A gift at the secondary consumer level funds a field trip on a SPMC research vessel! Your support at the top predator level will provide wages for a Marine Science Scholar to be a peer mentor for the incoming cohort of scholars!